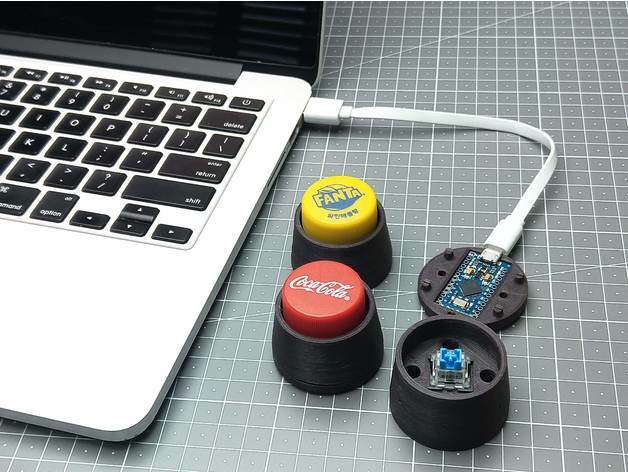 This is a design for a “Bottle Cap Keyboard”, a miniature version of The President’s Key. Although I made this for an Arduino Pro Micro case, it’s really a working single-key-board that can be used as a hot-key-board. 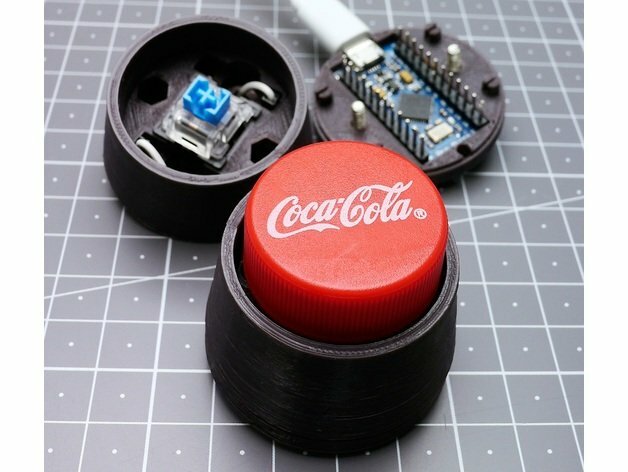 Grab any favorite PCO1881 standard bottle cap (most soft drink bottles conform). I programed it with Cmd+Q(mac) / Alt+F4(pc) for quit from applications but you can change it to any key command. All design files are licensed as Creative Commons – Attribution – Share-Alike. The firmware for the Arduino is licensed under the more permissive MIT license. 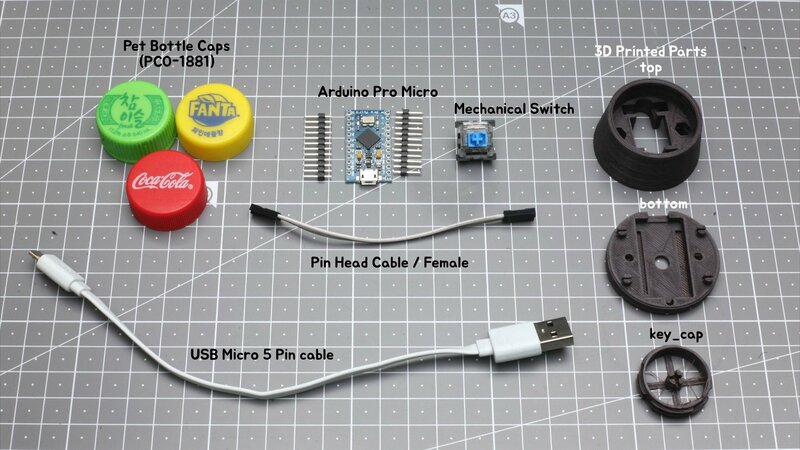 Print out parts and place an Arduino Pro Micro board with pinhead attached. One pin of switch needs a signal wire to 8(A8), and other pin is connected to ground(GND). 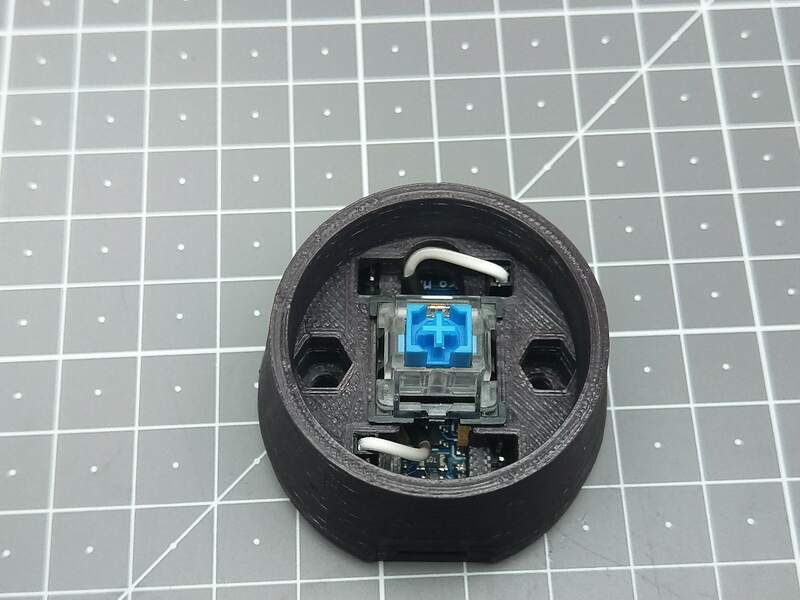 Firmly press the keycaps onto the button stems. Upload the firmware and enjoy!